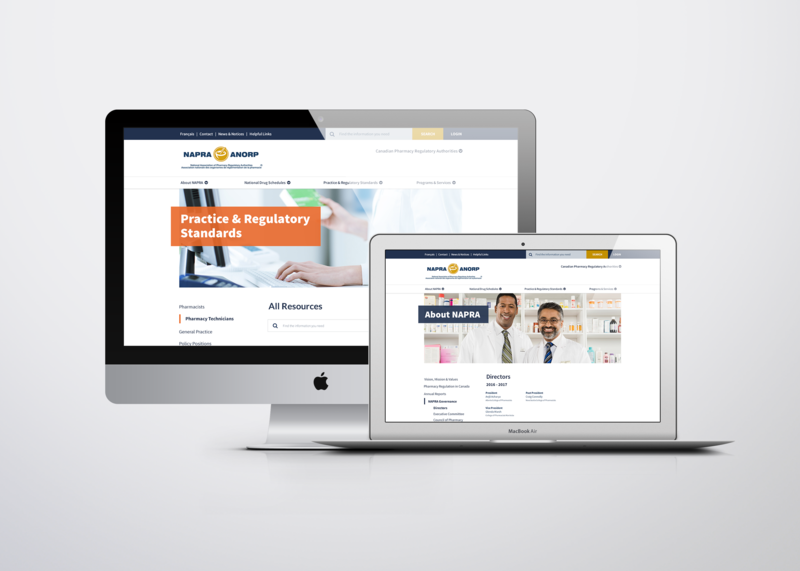 The National Association of Pharmacy Regulatory Authorities (NAPRA) came to us with the type of challenge we here at Industrial excel at: give their existing, slightly outdated, content-rich website a modern facelift. The new site would need to leverage current web technologies and design and usability trends, while also taking into account an existing user base that is comfortable using the existing site. 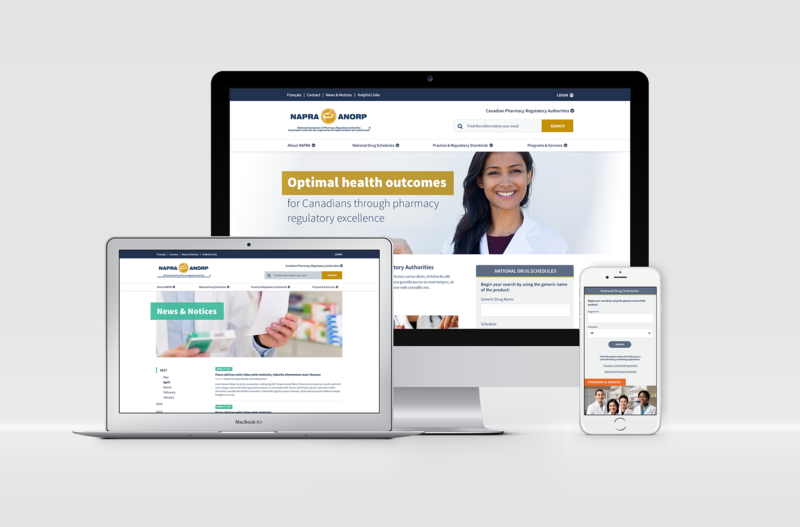 Aside from a beautiful visual design, we knew a heavy emphasis on speed and ease-of-use were key to the new site being a success with NAPRA and their users. Modern design: A major design refresh was in order. The new site needed to reflect NAPRA’s brand and its values. Ease-of-use: Not only on the user-facing side, but on the administration side, the site needed to be easy to use, easy to update, and easy to maintain. Multiple stakeholders with varying levels of technical abilities would be managing site content regularly - the solution implemented needed to be intuitive, and require minimal training. Search: The National Drug Schedule search is used to access hundreds of documents; having a solid, fast, and flexible search would be key to bringing value to the new site. 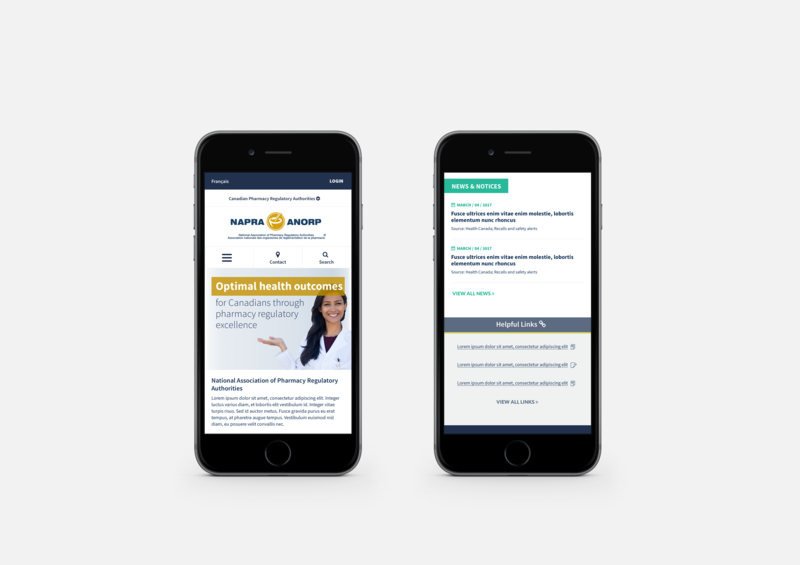 Support multiple screens and devices: The existing website did not scale well on phones and tablets, and as an increasing number of NAPRA's users utilize the site on mobile devices, these platforms had to be taken into account. Accessibility: To ensure site access to the widest possible audience, we built the site to exceed WCAG 2.0 (Web Content Accessibility Guidelines). Bilingual: All areas of the site needed to be bilingual in English and French, and it was critical that the localization for each be managed independently in the back-end. Using Drupal 8 as the site's foundation, we put together a beautiful, responsive, and fast website that is accessible on all devices. We adhered to the client’s brand guidelines, while putting together a refresh that was both modern and professional without being sterile or cold. On the administration side, we built a meaningful taxonomy and configured the administration of the site to be simple to use. On the search side, our team implemented Elasticsearch for fast, efficient, searching, and ensured search was flexible across content types, categories, and within the documents themselves. For the transition, our team migrated over all relevant content from the legacy site to the new site, ensuring the transition from old to new will be seamless, with virtually no disruption in service for existing users. The resulting site re-design has been a great achievement and success for both NAPRA and Industrial, and it has been an absolute pleasure working together to bring it from conception to realization. Founded in 1995, the National Association of Pharmacy Regulatory Authorities (NAPRA) is a voluntary association of provincial and territorial pharmacy regulatory bodies as well as the Canadian Forces Pharmacy Services.